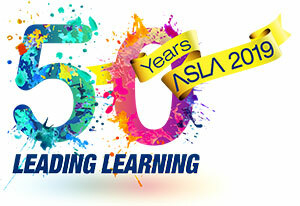 The Australian School Library Association Inc. (ASLA) and Pledger Consulting Pty Ltd (LinksPlus/Weblinks) have pleasure in announcing the winner of the 2012 Australian Teacher Librarian of the Year Award - Alinda Sheerman of Broughton Anglican College, Menangle Park, New South Wales. This prestigious national award recognises and honours an exceptional Australian teacher librarian in a school setting whose professional practice has a positive impact on student achievement and information literacy. ASLA describes the role of a teacher librarian as having three key professional areas: professional knowledge, professional practice and professional commitment. The Australian Teacher Librarian of the Year 2012 is awarded to a teacher librarian who demonstrates a level of excellence in each of these three components of their role and thus provides a library and information service that improves student learning. The 2012 Australian Teacher Librarian of the Year, Alinda Sheerman, manages a diverse library service at Broughton Anglican College, Menangle Park, NSW. Broughton Anglican College is a co-educational, Preparatory to Year 12 Christian school with an enrolment of approximately 960 students. Broughton is a dynamic multi-campus facility. Her Headmaster and colleagues comment on her abilities to meet the selection criteria of the award. “Mrs Sheerman shows passion, excitement and energy in all aspects of her work. She has developed our Information Resource Centre and its websites into hubs of learning for students and staff. She uses and encourages the use of technologies in a way that excites and engages her peers. Mrs Sheerman teaches through personal example. She encourages her students to keep raising the bar, to extend their thinking and take risks in their learning through trying new ideas and resources. She is determined in her desire to continue to improve teaching and learning across the College and has the flexibility to overcome any challenges. This award carries a $ 1,500 cash prize from Pledger Consulting Pty Ltd and $ 500 worth of Weblinks-LinksPlus products. The award was presented to Alinda at the Australian Teacher Librarian of the Year 2012 Award Dinner on Saturday 27 October at Rydges World Square Sydney. First and foremost I want to thank ASLA for this award. What an honour, privilege and responsibility to be selected - when I am well aware that there are so many other teacher librarians working hard at their professional practice and having a positive impact on student achievement and information literacy! Thank you so much to Paul and Pat Pledger who have provided such a wonderful prize, showing their real support of the profession and acknowledgment of the role of teacher librarian. To the selection committee of SLANSW – Thank you first for electing me as the NSW Teacher Librarian of the Year and then also for putting forward my nomination for this national award. And I certainly want to thank my Headmaster, Mr Don O’Connor, who has supported me in my role of Teacher Librarian and then Head of Information Services for eight years now, and who nominated me for the SLANSW award in the first place. I have told him on many occasions that I can only do the work I do because he allows me room to be creative and innovative in my practice. I have thanked my library team Christine and Donna publicly before, but I must thank them again, for always going way above and beyond the call of duty in their jobs to free me up to do more of the teaching I love and less of the formal clerical and organizational work that goes into making the library an efficient and friendly place for the whole community at Broughton. In a day and age when many people are devaluing the position of teacher librarian and even considering axing the position in schools across Australia and the world, it is very timely to begin a campaign of awareness and action. Clearly I need to begin this campaign quite close to home! The role of teacher librarian goes beyond the boundaries of classroom and library. It should be a leadership role in the school so that Information Literacy/Digital Literacy can be taught to staff as well as students and can be integrated seamlessly into the curriculum. On Friday the photographer from a local newspaper came to the IRC. He came with the shot he wanted in mind and nothing I said changed that. He began moving tables and grabbing books while I was saying, “shall I gather some children… get some laptops and technology happening?” He said he only wanted me in the shot and proceeded to frame me sitting behind two piles of books on the table. Now it was actually a lovely photo - but it did not truthfully reflect my role and the reason for this award! To break out of the mould of ‘librarian’ = books instilled in the minds of so many there may need to be radical action. We, who are working hard to change attitudes and educate for school libraries of the future, may need to become “Rebels with a Cause”. I quite like the idea of being a ‘rebel’ – so long as it is for a cause! In the eight years I have been at Broughton, the world has undergone change at a rate that has not been seen before – change in every aspect of life. Globalization is bringing about new markets, new job prospects; it impacts on working hours and methods of production as well as new ways of creating solutions to needs and disseminating ideas. Technological change is influencing how we communicate, socialise and work. In fact there has been some talk of late of how technology-enabled social media impacts the very personalities of our young people with tendencies for increased narcissism being observed as they share every minute detail of their lives on social media. Students today view the world from their own perspective and that of their peers. They act sometimes as author, sometimes as collaborator but rarely as a mere observer. It used to be possible to control the flow of information with print editors acting as gatekeepers and teacher librarians selecting all the information for their own school’s needs. No more! With open gateways to all sorts of information – with and without authority - the need for improved information literacy skills is urgent and can only be thoroughly achieved through teacher librarians teaming with class teachers and integrating the learning of these skills at the point of need. In my experience the teachers usually thank me for the lesson more than the students! A few years ago we had Ralph Pirozzo come to our school for a professional learning day on Inquiry Learning. When he was first introduced to me, to my embarrassment, he fell prostrate on the floor in front of me and then got up saying – “I know that Teacher Librarians are the movers and shakers in the school”! A couple of years before this when we had a software manager come to demonstrate his product I received a similar introductory remark when he said: “TLs are where it is all happening in schools!” It seems that those on the cutting edge of educational trends do recognise the role of teacher librarian but obviously from what is happening around the globe in the axing of the position - many school leaders and administrators do not. The fact I am here tonight is because our Headmaster, Don O’Connor, has recognised my role and encouraged and made it possible for me to fulfill that role at Broughton. In fact, he has the whole staff complete new Learning Goals each year with supervisors assisting their staff to extend their learning and improve their pedagogy. As my supervisor, I remember his reaction a few years ago when I was looking for new goals and produced the ASLA/ALIA document Standards of Excellence for Teacher Librarians. He said in astonishment, “You people even have your own standards?” …And we do! When meshed with the NSW Teaching Standards and then next year’s National Professional Standards for Teachers - a complete picture of our unique role in the school can be seen. Something that has definitely changed over the years is the trained teacher librarian’s position of leadership in the school. When I began as a primary teacher in the mid 70s, I decided then that I wanted to go no further than to be a classroom teacher. Top/Bottom leadership was all I knew and I did not see myself in this role – ever! In studying the subject The TL as Leader in my Masters degree at CSU I discovered that there are many types of leadership and I remember analysing the leaders in my school at the time. It was a moment of ‘sheer’ empowerment when I realized that I could “lead from behind” through collaborative practice, giving and taking ideas to make new pedagogical changes in my workplace. I did not have to be “Superwoman out the front” – I could plug away sharing and caring and influencing through discussion and practice. I found a new passion for my job. People have asked me why I am so passionate about Guided Inquiry. When I first began using Guided Inquiry as a vehicle for teaching integrated research and ICT skills in 2008, I realized that it also fitted in very well with my goal for life. As a Christian I believe that ultimate truth can only be found in Jesus and through the Bible - and my personal mission in life comes from the Bible. In 2010 when we used Guided Inquiry for the first time in the Year 10 Commerce unit Issues in Australian Society, I realised that this process could take students one step further than merely learning about an issue… we could assist students to thoroughly investigate issues and then to take action on them! There is the girl who was incensed by the fact that sows are kept in breeding stalls and know nothing else for their entire lives. She rang all the supermarkets to find out the percentage of pork they sold from pigs kept in these conditions and made it public that we should support a certain supermarket with the lowest percentage. Many of you have probably heard of the student who investigated the issue of asylum seekers. He looked at the previous policies of all political parties and finally wrote his own policy - with recommendations, which I asked him to send to Julia Gillard. Then there is the boy who, this year, investigated the issue of Men’s Mental Health in Australia. He was alarmed by the statistics and lack of awareness of this issue. He emailed the Department of Health, was disappointed that he received no reply, and then decided to make his own awareness campaign - so he started a Facebook page, made a video clip for YouTube and declared 12 September to be Men’s Mental Health Day (MMHD). This is what makes me passionate about Inquiry Learning and Guided Inquiry in particular – through this we can train students to ask questions (seek justice), to find solutions (love mercy) and to share them with others (walk humbly). Dr Linda Gibson-Langford shared some thoughts with me last week via email. In her comments about transformational leadership, she talked about a metaphor for leadership illustrated to her by Frank Crawford with reference also to Charles Handy’s work. Accept nothing but the best from yourself and everyone around you and at the same time have the humility of a great leader. See yourself as being in a metaphorical office with a glass wall and a mirror: When things are going well, look out of the glass wall at the team and you will know why things are going well. When they are not - look in the mirror and wonder why things are not going so well. Thank you once again for this honour. To all of us who are teacher librarians – let's become rebels for the cause of transformational change and leadership to meet the 21century needs in our schools libraries and our schools. Susan Busch, Bundaberg North State School, Queensland. Nominated by Chris Riggs, Principal. Nomination submitted by the School Library Association of Queensland. Karen Mutton, Saint David's Parish School, South Australia. Nominated by Paula Gill, Catholic South West Region Library Hub Group. Nominated submitted by the School Library Association of South Australia.